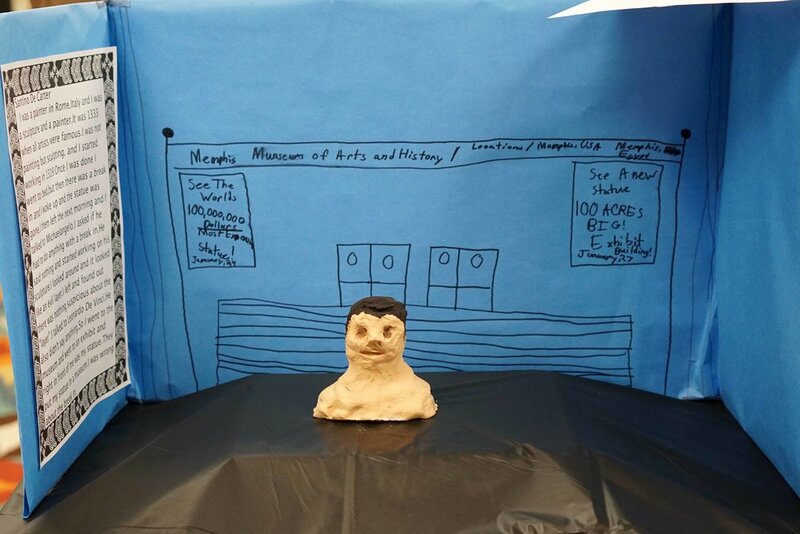 In preparation for STEAM Night Mrs. Underwood's 4th grade class read the book "From the Mixed-Up Files of Mrs. 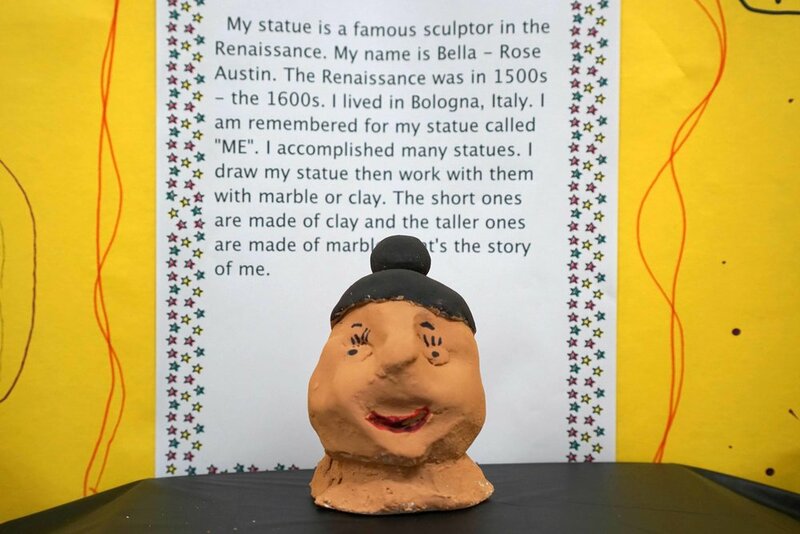 Basil E. 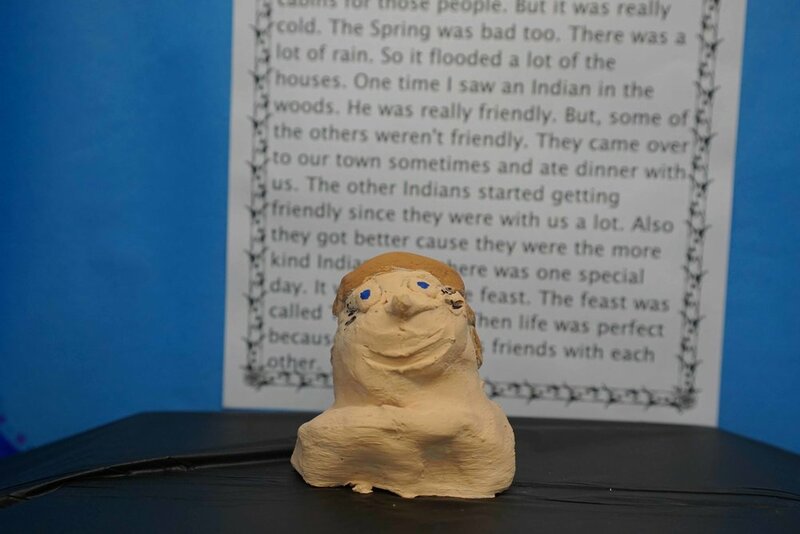 Frankweiler." 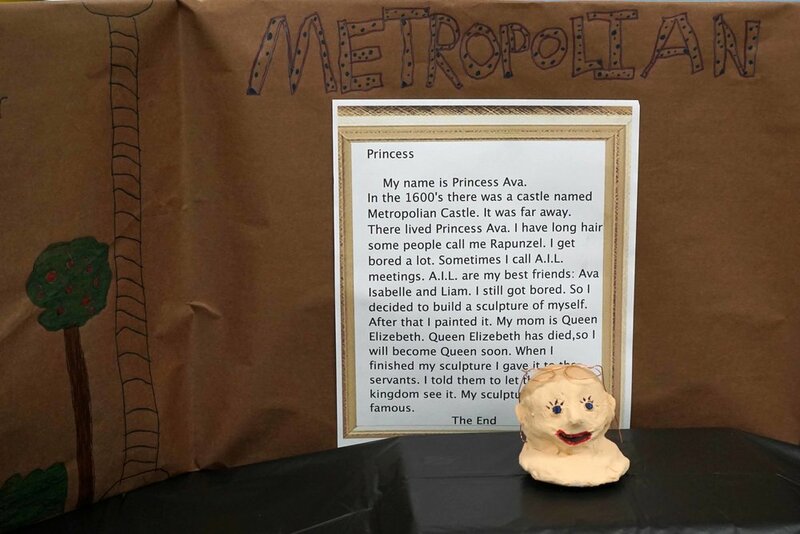 In the book two children hide in the Metropolitan Museum of Art and become mystery-solvers regarding the origin of a newly discovered statue of an angel supposedly carved by Michelangelo. 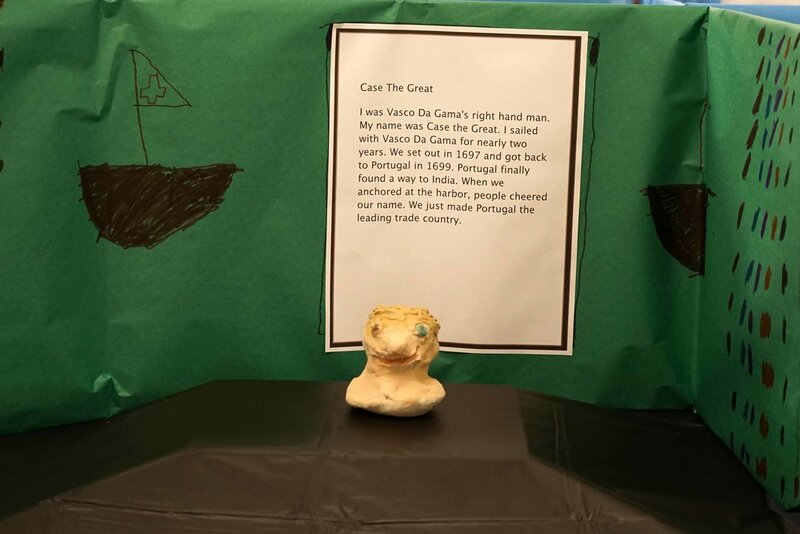 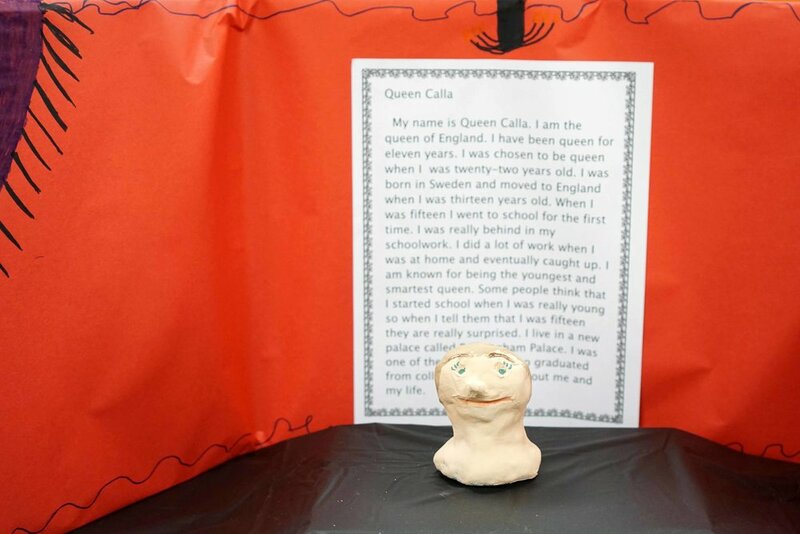 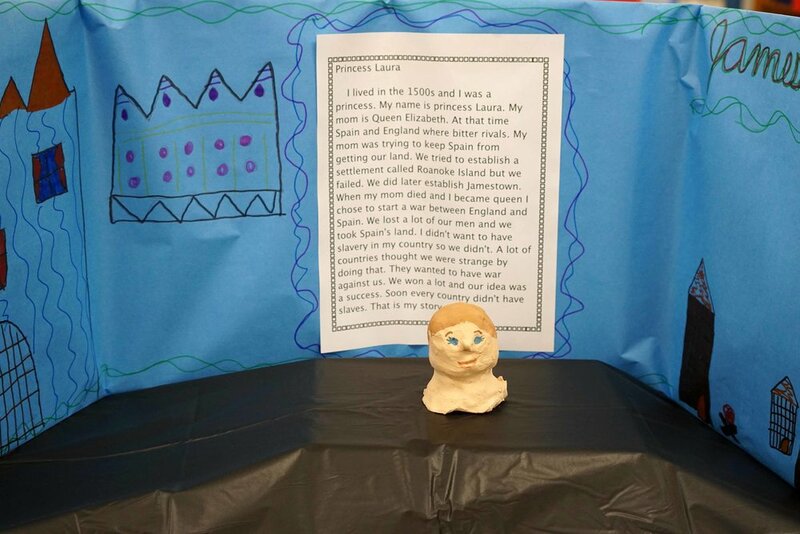 The children also learn about the Italian Renaissance in the process. 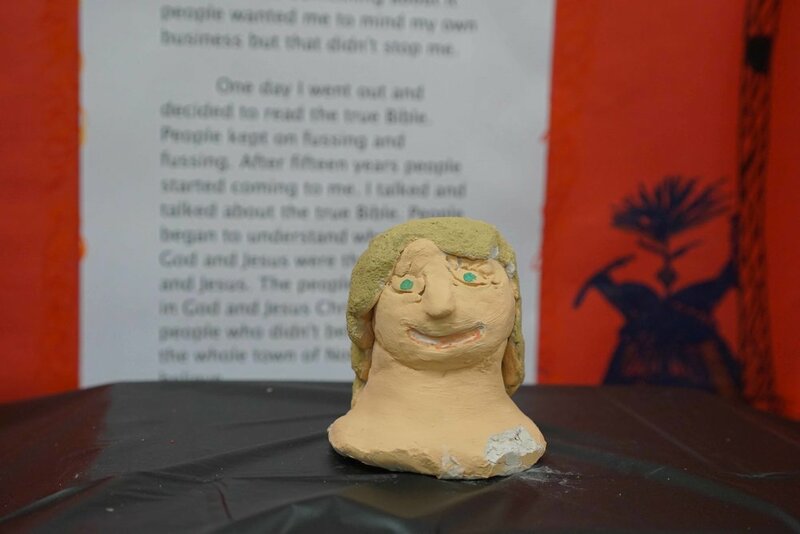 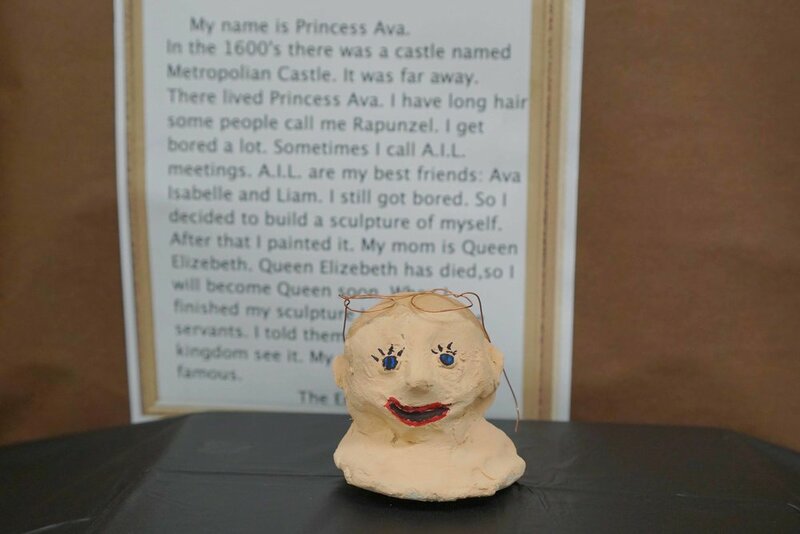 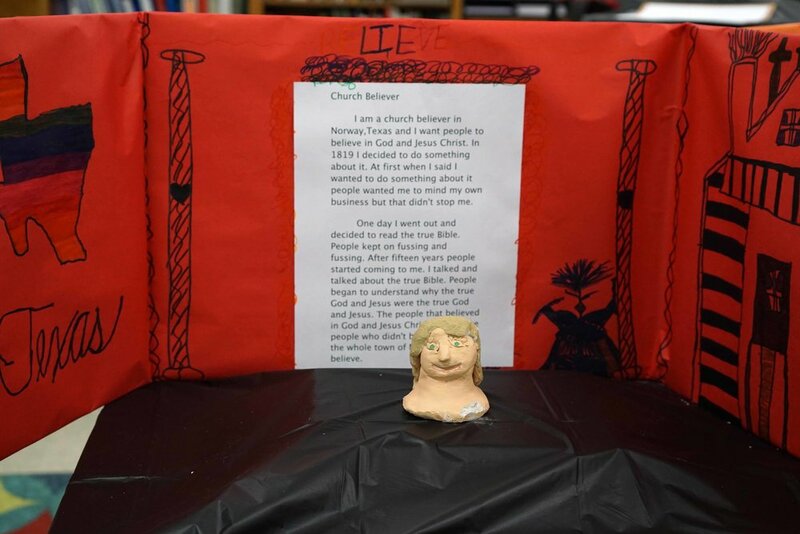 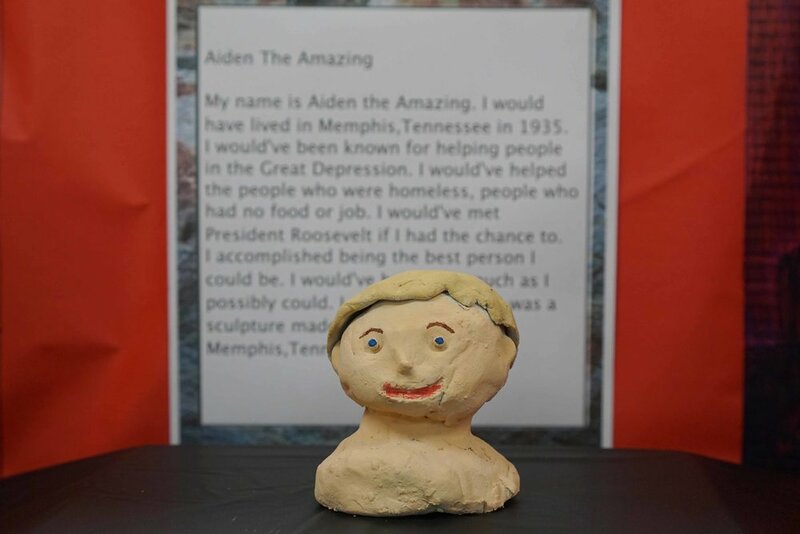 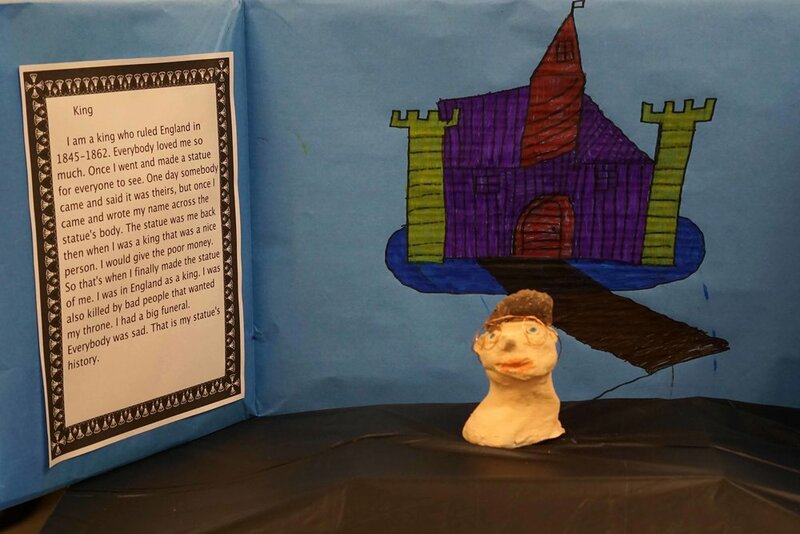 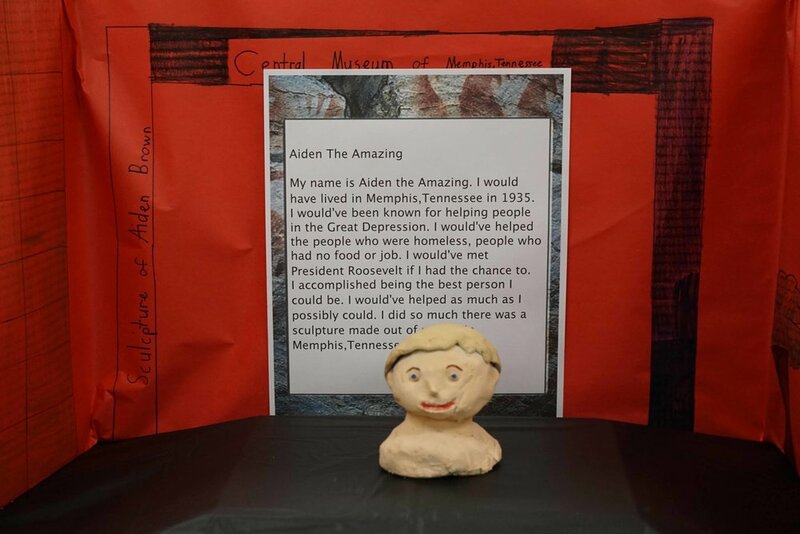 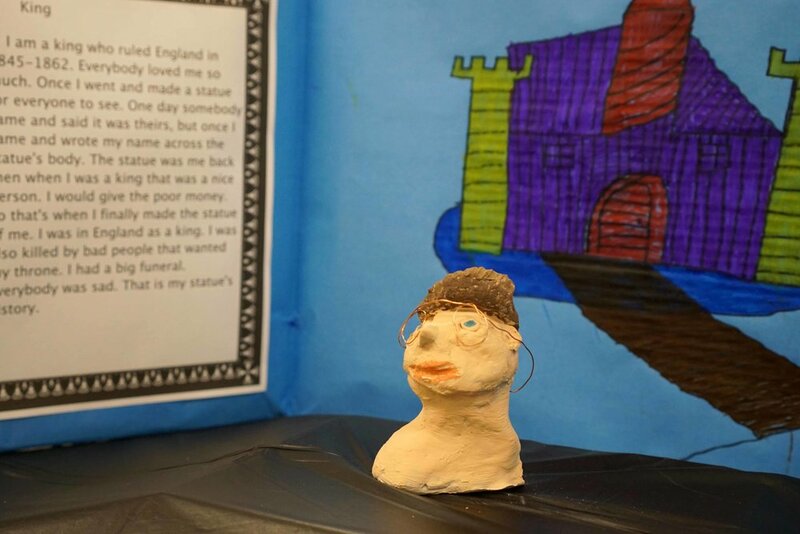 Mrs. Underwood’s class decided to sculpt statues of themselves and a small group also sculpted what they thought the angel statue might have looked like in the book. 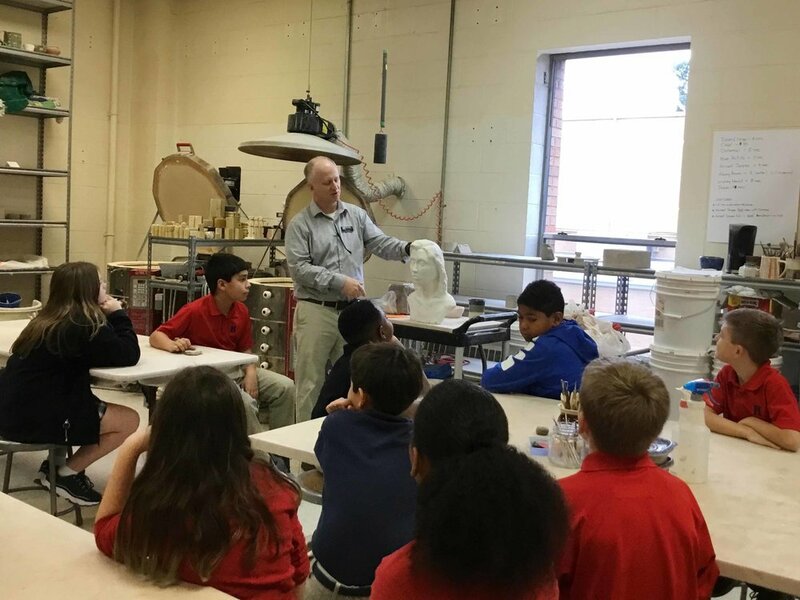 In preparation for these projects the students went to see Mr. Efaw in his pottery studio. 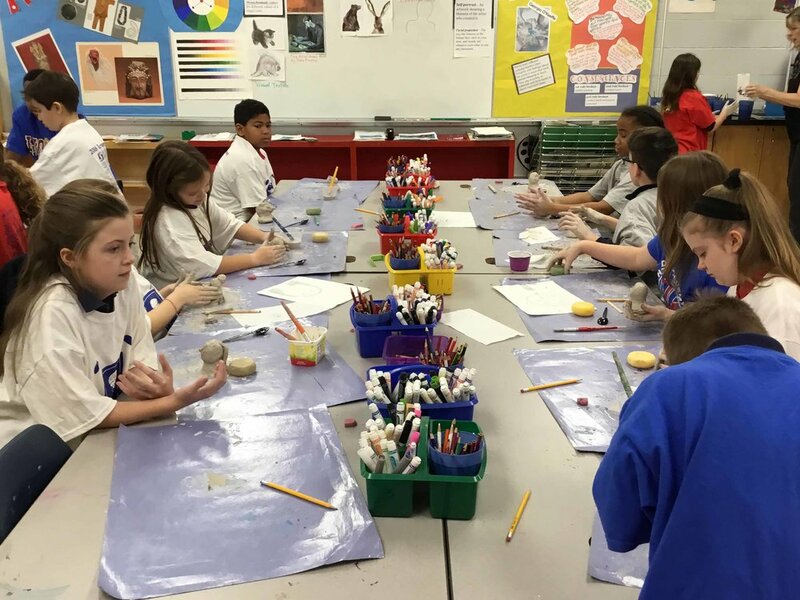 He told them about the different stages of clay as it is being sculpted and gave them some tips before they attempted their own sculptures. 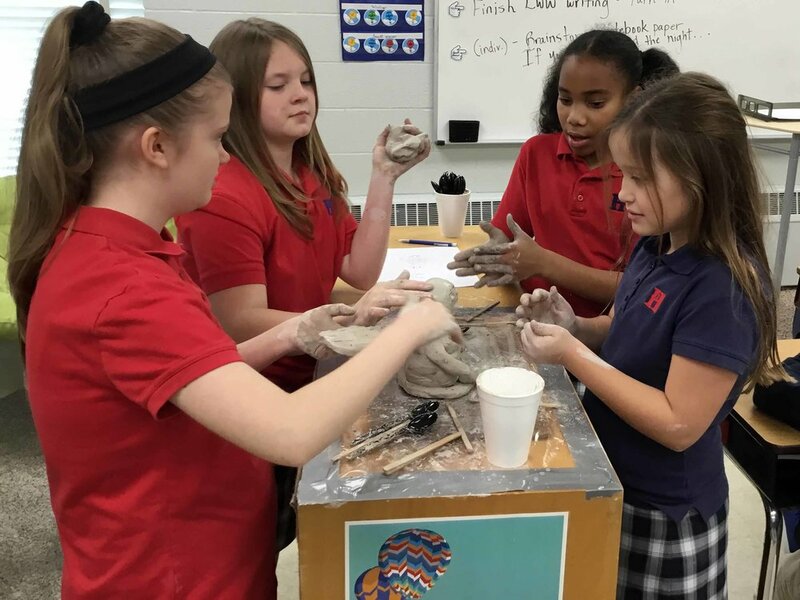 They also visited Mrs. Efaw’s classroom and she discussed the significance of the Renaissance and the works of Michelangelo. 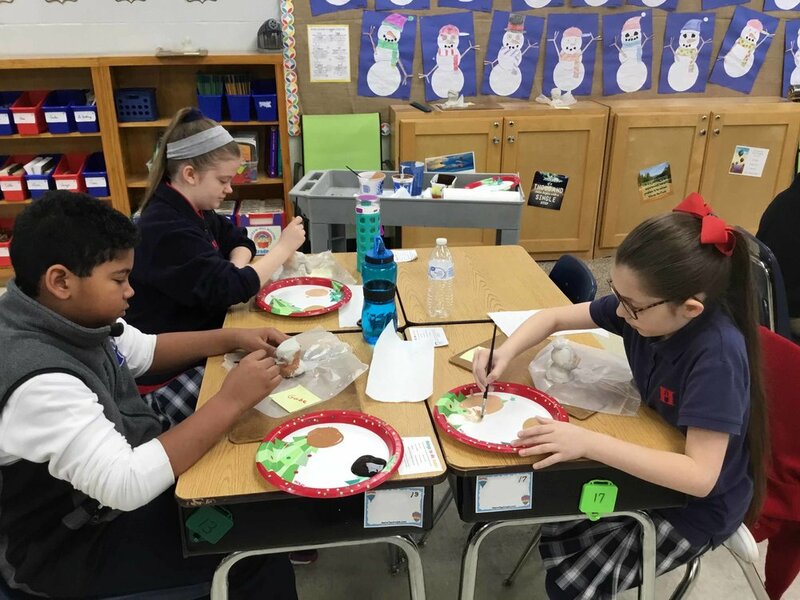 This was a wonderful opportunity for lower school students to connect with upper school teachers. 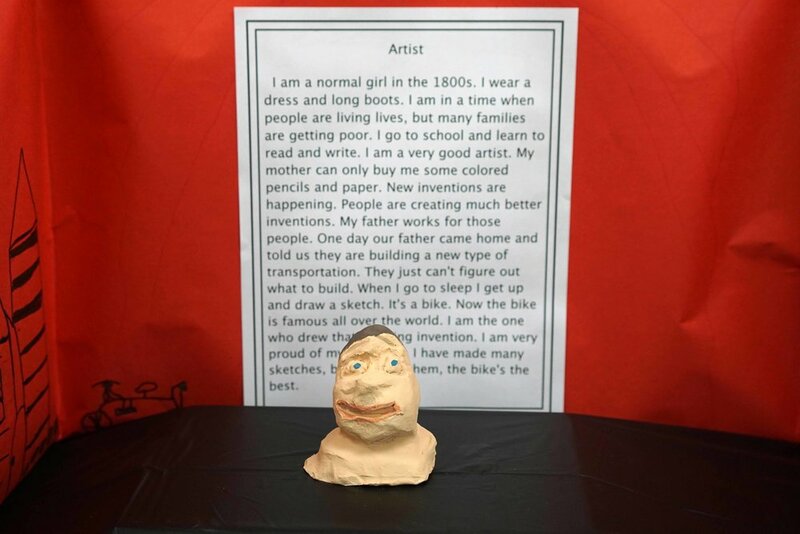 Below are pictures of the process and the statues created by the students.